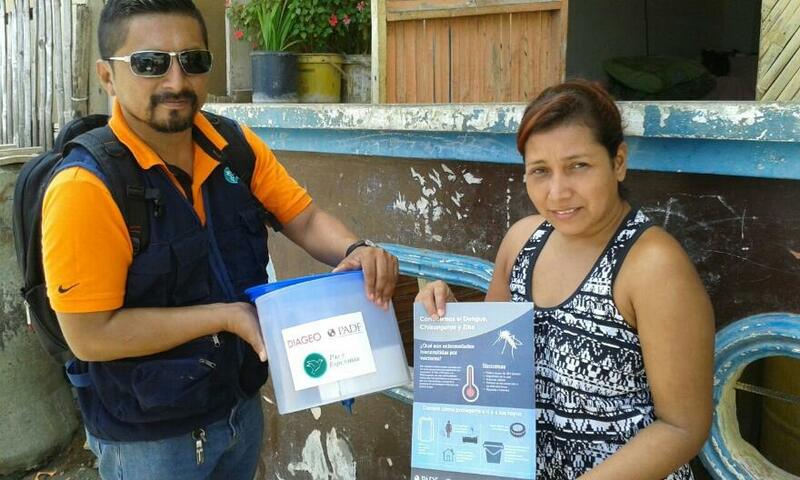 WASHINGTON--(May 17, 2016) -- Diageo, a global leader in beverage alcohol, has partnered with the Pan American Development Foundation (PADF) to provide clean drinking water to thousands of victims of the devastating earthquake that struck Ecuador on April 16. As a result of the magnitude 7.8 earthquake, many families lost all their belongings and homes and are living in emergency or makeshift shelters. In addition, the earthquake damaged or destroyed nearly 2,000 buildings, including hospitals in Manabí, as well as electrical, telecommunications and transportation infrastructure. 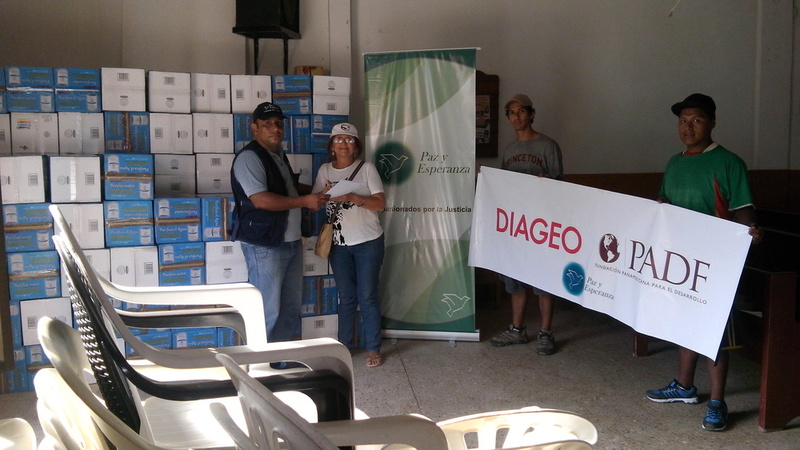 Thanks to a generous donation from Diageo, PADF and local partner Paz y Esperanza will procure and deliver 1,000 water purification units to families in isolated, rural communities in Pedernales, Jama and Bahia de Caráquez, in Ecuador’s coastal Manabí Province. An estimated 5,000 people will benefit from access to clean drinking water and receive training on hygiene protocol, sanitation and disease prevention. The strongest earthquake to hit Ecuador in decades affected 720,000 people resulting in 660 deaths and leaving more than 33,000 people in emergency shelters. 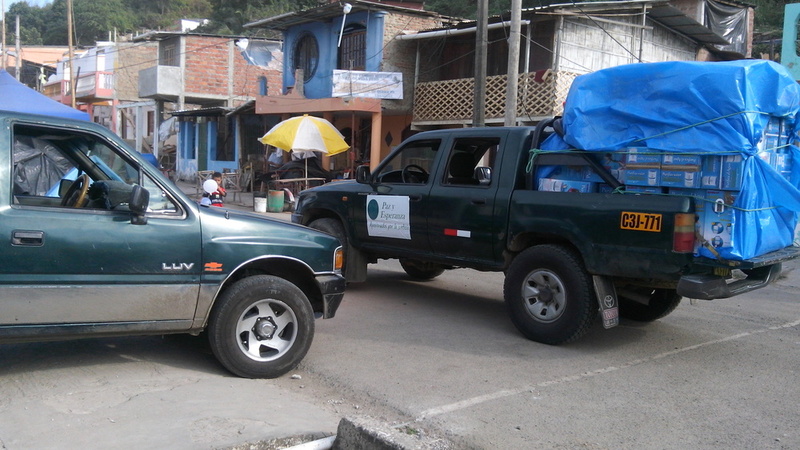 Working alongside Ecuadorian nonprofit partner Paz y Esperanza, PADF quickly identified vulnerable communities that were particularly hard hit by the earthquake and who were still in need of humanitarian assistance. For many decades, PADF has cooperated with Ecuador and other countries in the region in responding to natural disasters and humanitarian crises, such as the El Niño floods and volcanic eruptions. PADF has worked with grassroots groups of low-income women, afro-descendants and indigenous people, and community-based and micro-enterprise organizations in the affected areas. “PADF stands in solidarity with all the victims affected by the terrible tragedy in Ecuador,” says John Sanbrailo, PADF Executive Director. “We hope that this humanitarian assistance will help families both in the short-term and as they begin to rebuild. We are pleased to work with global companies like Diageo to provide not only material assistance, but also hope to those hardest hit by this tragedy." To join the campaign for Ecuador or for additional information, please visit: www.padf.org/HelpEcuador. Diageo is a global company, and our products are sold in more than 180 countries around the world. The company is listed on both the London Stock Exchange (DGE) and the New York Stock Exchange (DEO). For more information about Diageo, our people, our brands, and performance, visit us at www.diageo.com. Visit Diageo’s global responsible drinking resource,www.DRINKiQ.com, for information, initiatives, and ways to share best practice.